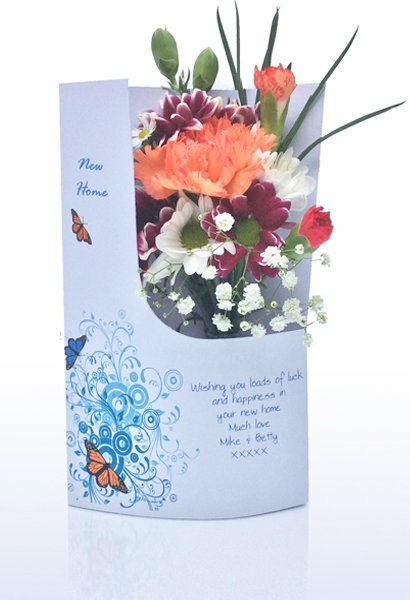 That new house is in need of some flowers and a card ! 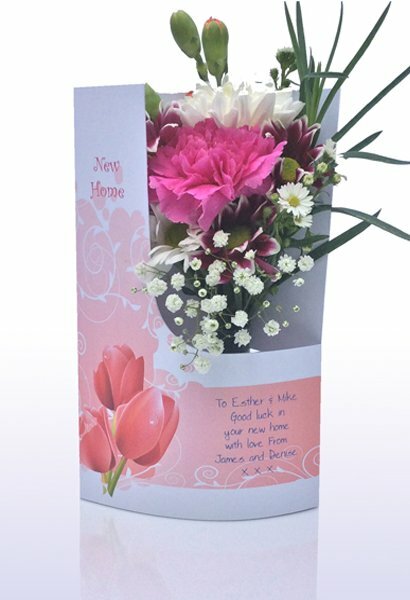 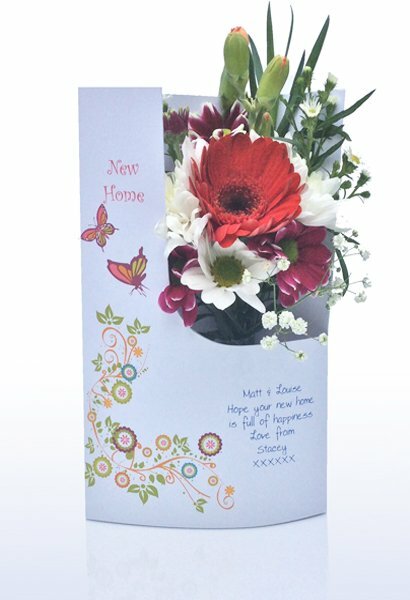 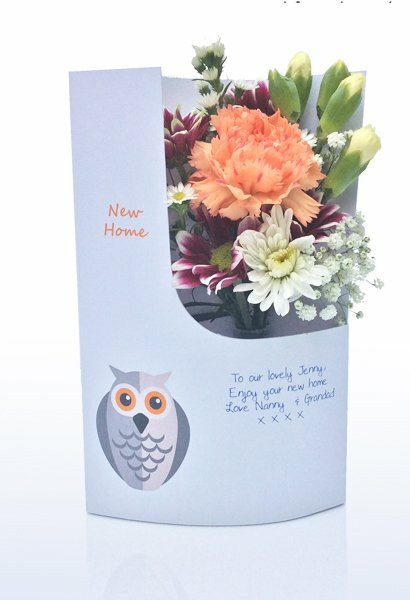 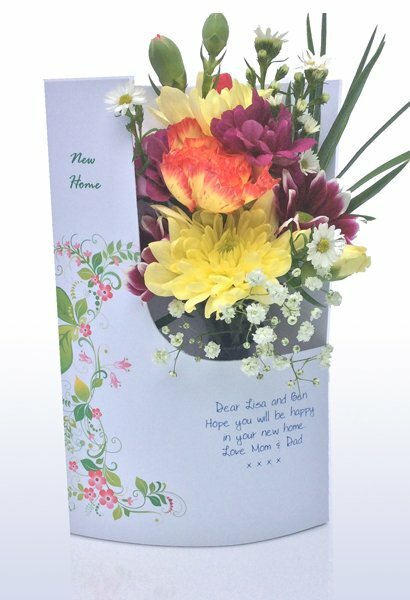 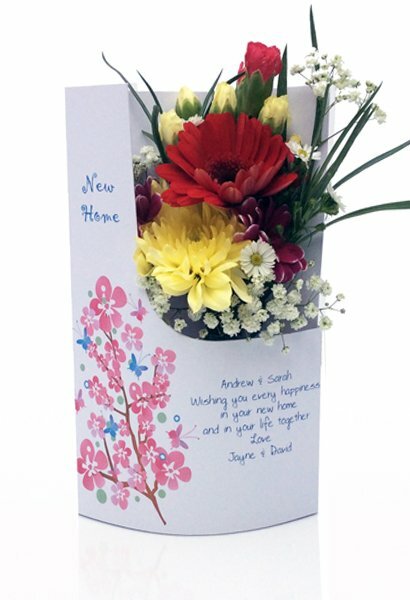 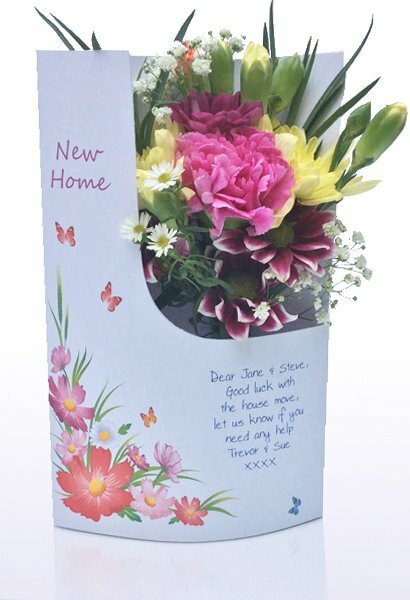 Have both in one package, with our 'New Home' flower cards. 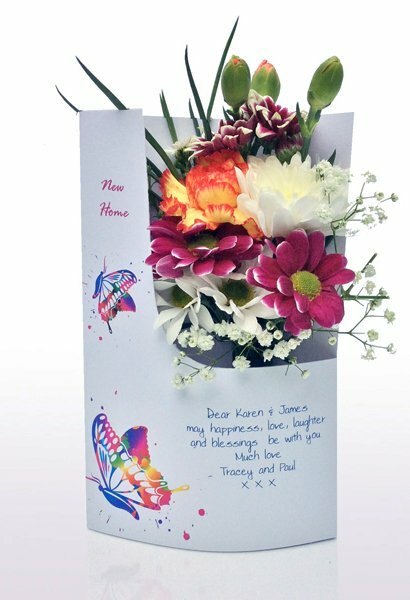 With your own personalized message on the front of the card, to add that nice personal touch.